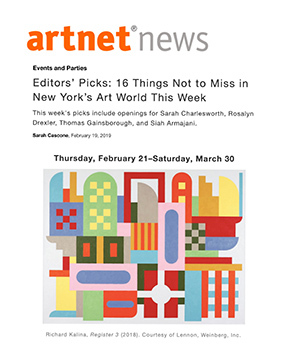 artnet News, February 19, 2019. 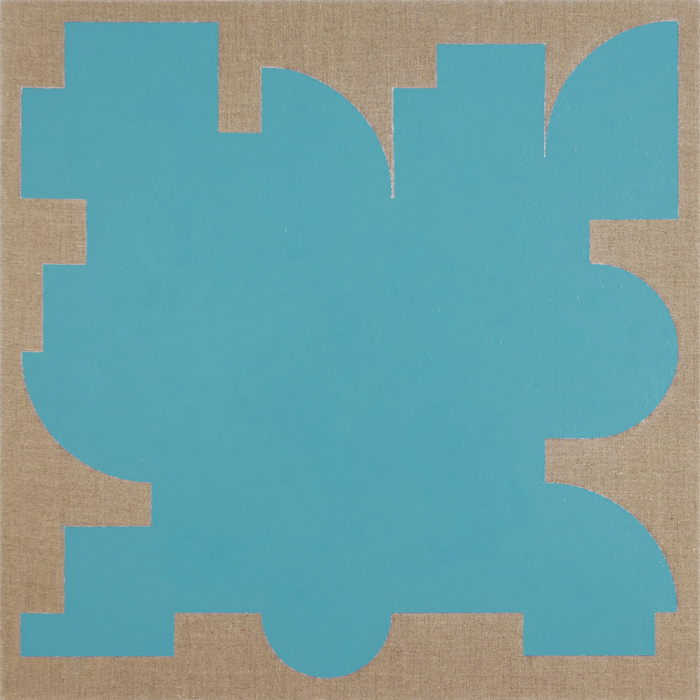 Resting State — Turquoise, 2015 has been acquired by the University Museum of Contemporary Art at the University of Massachusetts, Amherst. The painting was donated to the museum by Alex Katz. 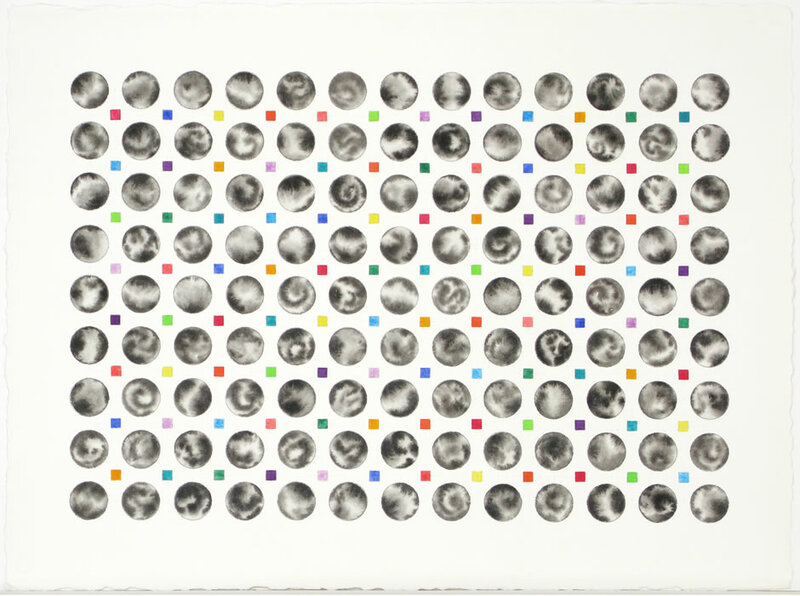 The watercolor, The Principles of Immortality, by Richard Kalina was acquired by the Springfield Art Museum. An important Richard Kalina painting, Midnight Rider from 1972 has been acquired by the Nasher Museum of Art at Duke University. 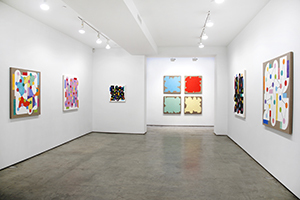 — “Exhibitions- The Lookout: Richard Kalina at Lennon, Weinberg”, Art in America, March 28, 2014. 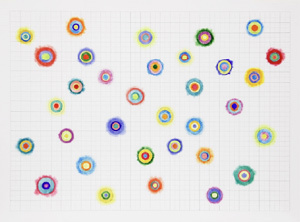 Richard Kalina recently participated in Conceptual Abstraction, an exhibition curated by Pepe Karmel and Joachim Pissarro at the Hunter College Times Square Gallery. 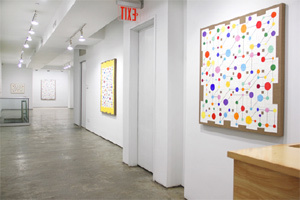 The show reprised and updated the 1991 Sidney Janis Gallery exhibition of the same name. 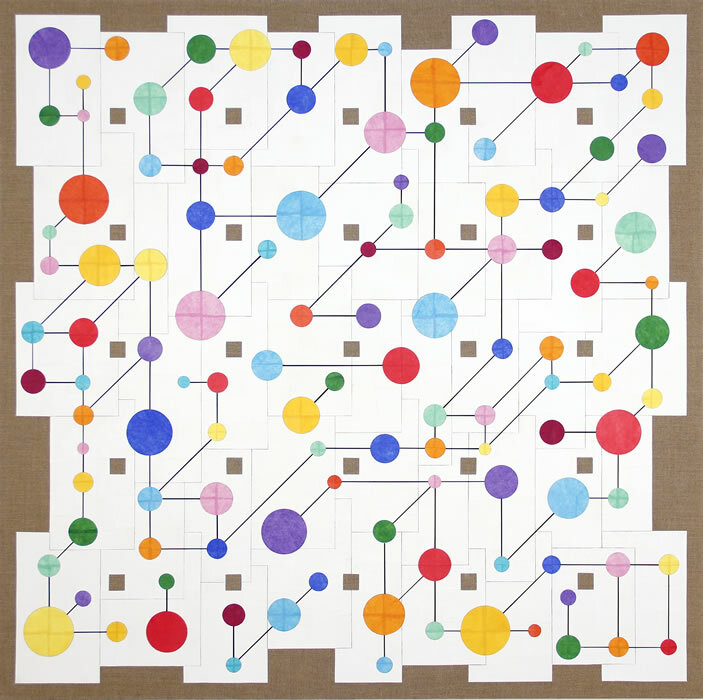 Conceptual Abstraction was reviewed by Holland Cotter in the New York Times in November. 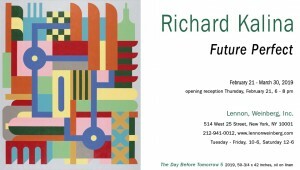 Richard Kalina was recently elected to membership in the National Academy of Design. The National Academy was founded by Samuel F.B. Morse, Rembrandt Peale, Asher B. Durand and Thomas Cole in 1825 and was modeled on the Royal Academy in London. National Academicians are drawn from the fields of fine art and architecture. 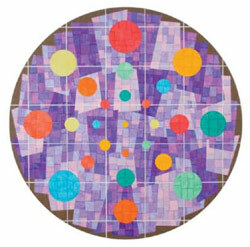 This mini-retrospective showcases twenty paintings by the artist, who is also a well-respected critic. 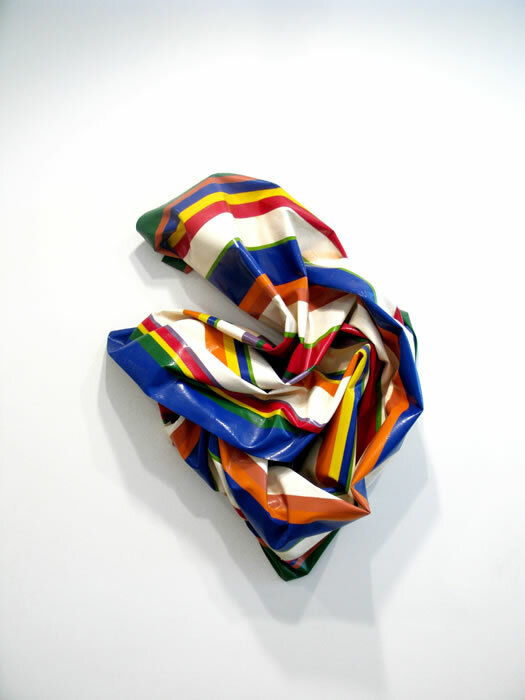 Starting with post-painterly abstraction (represented here by a crumpled striped canvas from 1970), Kalina went on to experiment with postmodern pastiche and now makes elegantly tessellated collages, his strongest work yet. The buoyant hexagons of “A Cartesian Diver” traverse a grid, the intersections of which are cut into squares of raw canvas, giving the delicate composition a satisfyingly rough contrast. 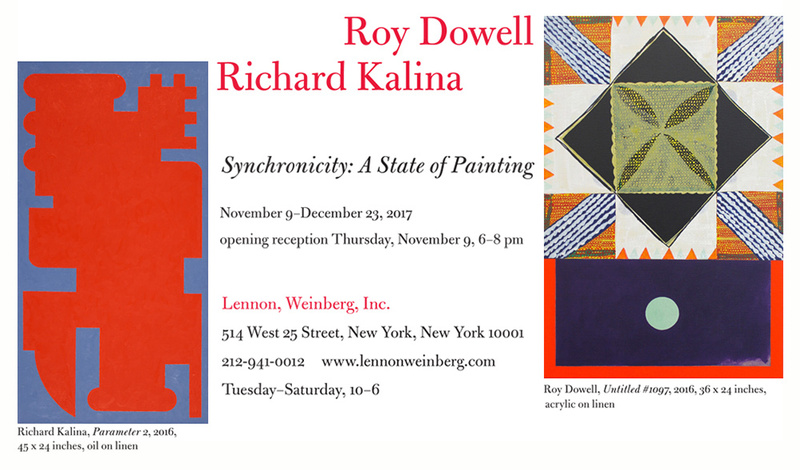 A painter’s painter, Kalina has affinities with other New York artists who came of age in the sixties and seventies, from Jennifer Bartlett to Philip Taaffe; this show will hold the greatest appeal for fans of formal abstraction. Through Aug. 13.